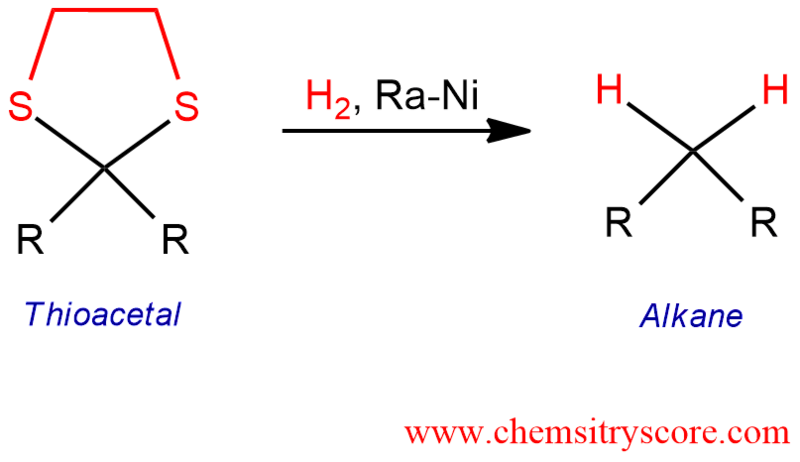 Thioacetals can be desulfurized to give alkanes through the use of the Raney nickel (Ra-Ni). Ketones and aldehydes react with an excess of thiol in the presence of acid to give thioketals and thioacetals, respectively. These compounds are smoothly reduced by Raney-Nickel to give the corresponding alkanes, and it is converted irreversibly to nickel sulfide. Raney nickel is a strong reducing agent and it works specifically with thioacetals. The whole reaction starting with an aldehyde (or ketone) is known as the Mozingo reaction. This is a good way to converted carbonyl compounds to alkanes. This method is milder than either the Clemmensen of Wolff-Kirshner reductions, which employ strongly acidic or basic conditions that might interfere with other functional groups. 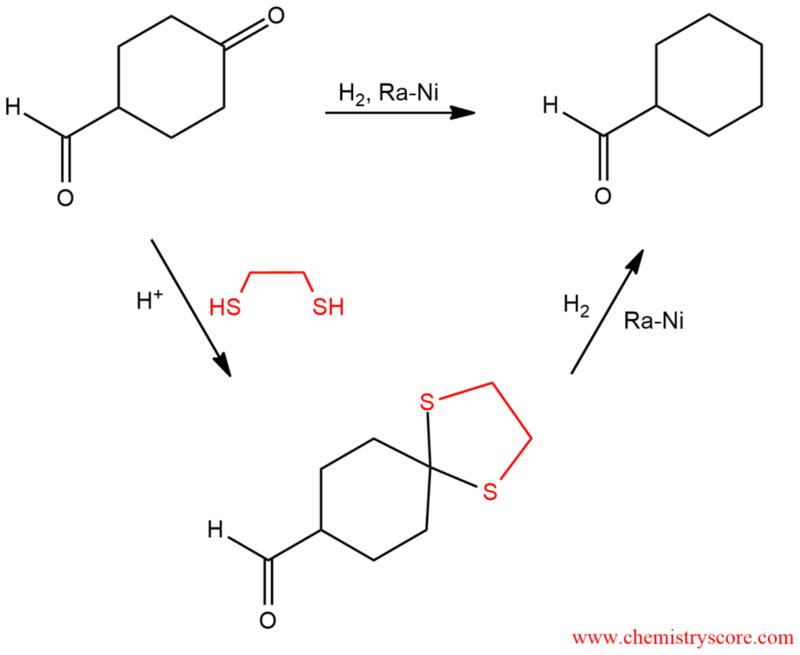 The mechanism of this reaction is still unknown.